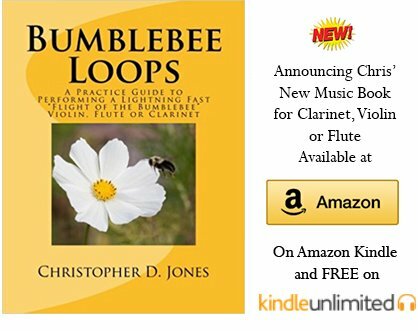 The Clarinet-Now.com Clarinet Tuning Chart is a tool designed for you to print and use freely to improve your musicianship. How does a tuning chart help your musicianship? It helps you know the tendencies of your clarinet. Did you know every clarinet has different tuning tendencies? Even the same model can have unique tuning problems. Also, since every human is different, each player has different tuning tendencies. If you know the tendencies of your clarinet, you can match other players better. (I’m a little flat on the second space A, I know I’ll have to “lip-up” just a little bit to play with other clarinetists or other instruments alike). Since this chart includes several common alternate fingerings (referred to as chromatic fingerings), you will know which of those fingerings are better to use for tuning purposes. If your stand partner has a tuning chart, you can look over it to understand their tuning tendencies. If they look at your chart, both of you will help each other out that much better. Click here to read the Clarinet Tuning Chart PDF in your browser, then right-click to print it. 1. Buy or get access to a tuner. Finding a cheap tuner is very easy and you can even click here to get information on the best tuners. 2. Warm-up your clarinet before writing findings on the chart. If you develop this chart in January and do not warm-up, a majority of your chart will look and sound flat. If you do this on a hot day in the summer, many of the findings will look and sound sharp. 3. When your clarinet is warmed up, tune it in this sequence to get the length of it correct. a. Start with open G. Here, you are tuning at the barrel. 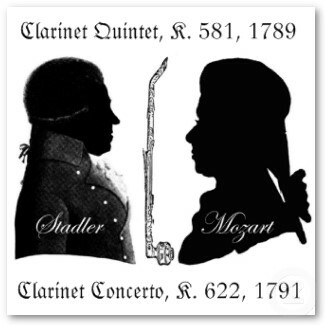 Many clarinets are made to play a little sharp. Having the barrel pulled out just a little bit is common for many instruments. b. Now, tune low C. You can check here if you need to pull out at the middle joint any. c.	Next, G just above the staff. Here you are checking the middle joint again. d.	Now, check low F and then C third space. Low F might be flat and the C possibly a little sharp. If both of these notes are sharp, you can pull-out at the bell. e.	Once you’ve gone through these motions, play through the tuning chart chromatically from bottom to top. 1. Many people STARE at tuners and make a little mouth adjustment to make the tuner read correctly. This is good and bad. When you see flat, you lip up. When you see sharp, you lip down a little. How can you get an accurate tuning on your chart doing this? 1. Red lines include the name of the clarinet range and the various tuning identifications (-15 -10 -5 0 5 10 15). Again, a -5 reading means the note is a little flat while a 5 reading means it is a little sharp. Look for the dot or needle on your tuner to find this reading. Some tuners have strobes, if the strobes are rotating counterclockwise, the note is flat. If the strobes are rotating clockwise, the note is sharp. Strobes hanging right in the center mean in-tune. Names of the note ranges are: Chalumeau, Throat-tone, Clarion and Altissimo. 2. Note names: Most include one note. If you see two notes like f#/gb, remember these are enharmonic note names. The f# and gb are the same sounding pitch, but have two different names depending on the key or scale the music is written. 3. Note names: Another variation is b chromatic and b mid-finger OR d#/eb chrom. and d#/eb side. Here, you are witnessing very commonly used chromatic alternate fingerings. It is good to get a tuning reading on each of these so you will know which one is better to play for certain sections of music. Once you reach the Altissimo note range, play the fingerings you most often play and if you know any alternate fingerings, try to find a place to notate them. Altissimo notes on clarinet have numerous alternate fingerings. Finding the best note for a fast technical lick and the best “in-tune” note to hold long might include two completely different fingerings.